A thrice-divorced theology teacher wrestles with her own and others’ human weaknesses in this earnest successor to the Wisconsin author’s highly praised debut, The Cloud Atlas (2004). 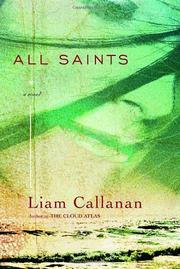 Described by its narrator, 50-year-old Emily Hamilton, as “part mystery and part love story,” it’s an amalgam of confessions and memories that record her variously inchoate or unsatisfactory marriages; experiences explaining the lives of saints and martyrs to students at a California Catholic high school; and complicated relationships with three of her students and with her colleague and department chairman Father Martin Dimanche. Handsome teenager Edgar awakens the not-quite-slumbering physical woman within her, sparking an intimacy that perplexes him and sends her into spasms of guilt. Withdrawn Paul, unsure of either whom to love or how to love, appears to struggle just beyond her reach. And shy, gentle Cecily impulsively recapitulates Emily’s own romantic blunders, paying an even more painful price for her naïveté. This is Minnesota novelist Jon Hassler’s turf, and Callanan enters it confidently, fashioning a persuasive enveloping context of both academic routine and skillfully absorbed information from church history, which is never less than relevant to his characters’ experiences, and often stunningly insightful. Unfortunately, the plot is trite and melodramatic, overloaded with tears, recriminations, diseases and deaths. Its saving graces are Emily’s often ruthless intellectual honesty and the abrasively blunt exchanges between her and Dimanche, who has seen enough of both sanctity and sin. The author presents both characters as worldly, flawed souls who have no illusions about the attainment of spiritual perfection or the consolations of religion (e.g., “God loves a sinner. . . . Yeah. He talks a good game”). A misfire, but interesting for its realistic understanding of the goals we set for ourselves and the survival skills that enable us to live with our failures.